We are engaged in providing our clients with a comprehensive range of Industrial Winch Machine, which is duly quality checked prior to its dispatch to the market. Construction equipments offered in this range are manufactured at our advanced facility, using cutting edge technology. 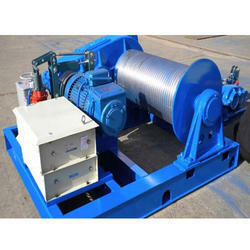 International quality norms & standards are strictly followed while fabricating our range of Winch Machine.